Speymouth Angling Association - Angling on one of the most famous salmon rivers in the World. 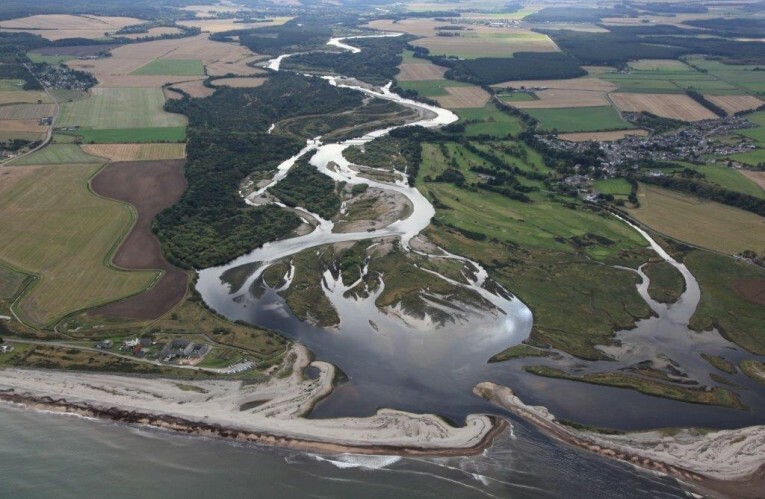 Angling on one of the most famous salmon rivers in the World, the area around the mouth of the river at Kingston on Spey offers Britain's best example of a single strand plain. This stunningly beautiful river has built a solid reputation for its fine catches of salmon, grilse and sea trout which have delivered years of pleasure for the region’s anglers and visitors from all over the UK and overseas. Speymouth Angling Association retains the rod fishing for approximately three kilometres of water that runs from the estuary at Kingston on Spey to the upper limit at Braehead. The lower beats, located between Braehead and the estuary, are dominated by the picturesque Old Railway Bridge that crosses the Spey near Garmouth and the villages of Kingston on Spey and Spey Bay situated to the west and east of the River estuary. Salmon fishing permits for visitors are available on a daily or weekly basis. More details can be found on the permits page. Specific questions on availability and costs of day and week permits for visitors can be submitted to the Speymouth Angling Association Secretary.